In the digital age we live in, practically everyone has or wants to have a smartphone, from toddlers to old grannies. However, this doesn’t necessarily mean that all those who have a phone really need it. Having a phone may allow your child to feel ‘cool’ and to have some responsibilities. On the other hand, there are numerous issues related to getting your young one a phone, which can range from the money to cyberbullying. Does Your Kid Really Need a Phone? Before you go shopping for a trendy new device for your little one, think about what it will be used for. Not all kids who want a phone are necessarily interested in the service that a phone is meant to provide: texting and calling. 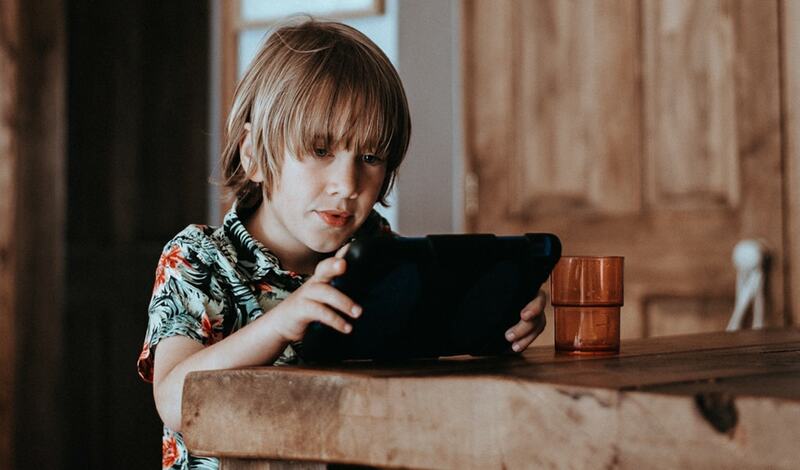 Most kids who tend to spend an extensive amount of time playing games on it, so if that’s your kid’s plan, then you may want to consider getting a tablet or an iPod for them. Not having to pay for a plan will save you a significant amount of money each month. Of course, there are some kids who spend a lot of time away from their parents and need the means to communicate with their caregivers. In this case, it may be a better idea to buy something very simple such as a simple flip phone or perhaps a smartwatch, like the LG GizmoGadget. While mobile devices provide kids with a sense of independence and the ability to contact friends and relatives, there are some negative aspects as well. When a kid got bullied at school in the past, it usually never went further than the class. With modern day technology, however, kids can be cyberbullied by practically anyone on the internet, including people more than twice their age and with bad intentions. By placing a cellphone or any other mobile device in your child’s hands, you are exposing them to potential cyberbullying or any other unwelcome consequences. There is the cost aspect as well. Regardless of what plan you decide to buy for your child’s new device, there will always be the initial cost of the acquiring the gadget. You may be able to find a reasonably good phone for less than $200, but for some families this may still be a significant amount. Also, kids are prone to accidents often. They can drop their phones, soak them in water or even lose them in an act of carelessness. Accidents may also happen while the child is using their phone. If you forget to set parental control, your child may ‘accidentally’ purchase something, which will be charged from your account. Young children may also be unaware of the fact that they should not share any personal information online. This may in turn cause serious problems for your child and your family. Despite allowing children to become more independent in some ways, a cell phone will eventually make them dependent on technology. Kids may be tempted to send text messages whenever the need arises to communicate with someone, instead of simply calling them. When faced with a problem, kids with a phone will be lost without the information the internet offers; whereas those who don’t have mobile devices, are more capable of relying on themselves. 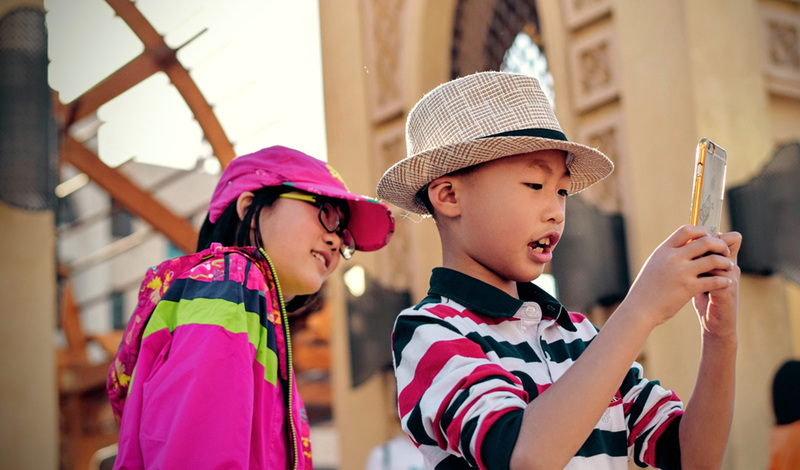 Choosing the perfect phone or device for your child depends on many aspects. You need to determine what the device will be used for, your budget for such a device and potential personal preferences. For example, if you have an Apple device, you may find it convenient to get one for your child as well so that you’ll be able to send iMessages to each other. For younger kids, a simpler device is the best option. It is easier to use and, depending on the device, eliminates the possibility of being contacted by strangers. In addition, simpler phones are cheaper, so if your kid breaks their new toy, it will not cost a fortune to replace it. Some suggestions for this age category are the Republic Wireless Relay walkie-talkie or the Verizon LG GizmoGadget. Flip phones are also a good and safe way to introduce your young ones to their very own device. Tweens and preteens may be embarrassed to walk around with an “ancient” flipphone, while the rest of their friends and classmates have the newest iPhones. For this reason, you should not only take the price and simplicity of the device into consideration. Of course, however, this doesn’t mean that you should give in to your kid’s demands. Don’t buy them the latest iPhone as their first device just because everyone they know already have one. You should buy a device that fits into your budget and also your kid’s responsibility levels. For this age category, you might consider getting a product of a lesser known brand, such as Motorola or Huawei. These phones are cheaper and still have the same features that an iPhone or a Samsung device would have. Teens are almost adults, and most of them are just as responsible for their things. Still, you should have some rules set in place prior to purchasing a device. If your teen wants the latest Samsung, then maybe you can offer them to pay for the part of it with their allowance. You should give your teenage child more independence, but that doesn’t mean that you can’t check up their device once in a while. Teens want to have the coolest and the most top-notch gadgets, so Samsung and Apple are the obvious choices for this age group. Not getting the latest version will help you save money on your purchase and your kid will still have a phone of a popular brand. This entry was posted in Uncategorized on September 10, 2018 (Last modified: 2018-09-10T12:06:37+00:00 by Mark A.. Contemporary parents’ options for keeping track of their children’s activities and whereabouts are numerous. 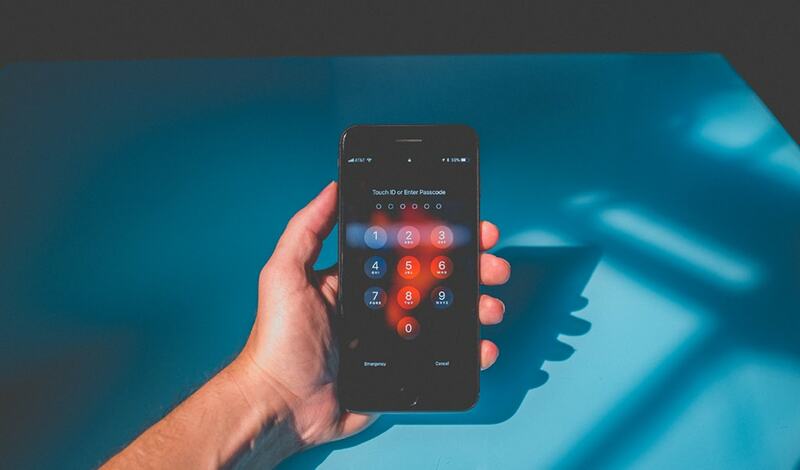 Most people think of cell phone tracking as the most convenient tool for monitoring their teenagers’ lives, and it may indeed be convenient, but there are other sides to using this and other types of surveillance, i.e. ethical and psychological. How can a balance be attained between keeping children safe and relatively independent and parents – relatively calm? Technological accomplishments are now available to the masses, and cell phone surveillance is among the accessible options. It used to be that only private investigators and corporate security departments (aside from police, of course) could intrude on people’s privacy and go unnoticed, now anyone can do it with the least amount of effort. If we consider the short-term efficiency, cell phone spying seems like a perfect method for worried parents to make sure that their teenagers are not out of line, but as far as the long-term behavioral effects and psychological consequences go, it is a dubious issue. We live in the times when realizing that your child has left home without his or her cell phone sets off a panic attack in both parents and children. However, the sense of security accorded by the cell phones is a double-edged sword. Indeed, a great number of the threats children encounter today are linked closely to mobile devices and the Internet. Cell phone monitoring creates a feeling that parents can avert all these dangers in the making, but the situation is far from being that simple. Some of the surveillance we now consider a desperate necessity only emerged a decade or two ago, and the need for it is often exaggerated by the increasingly apprehensive atmosphere in the world in general, and, in particular, the marketing strategies that play on the parents’ weak spots, one of which, undoubtedly, is a child’s safety. However, continuous communication with your child or teenager is the key to a better relationship, where sharing is a norm, and no surveillance is required. However, if you do choose to track your child’s cell phone, there is a vast range of software on the market which allows to read messages, turn on the camera and microphone remotely, keep track of social media activity, track current location via GPS, even listen in on conversations. These include mSpy, Highster Mobile, FlexiSpy, and many others, from free to rather pricey versions. In any case, the effect that such surveillance has on both parents and children is debatable, to say the least. It most certainly affects the quality of the bond in a negative manner, since the parental lack of trust can not go unnoticed, even if the actual spying is. It will eat away at the parents and make them desire more and more control over the child’s surroundings, even though teaching children how to be safe and independent may be a wiser thing to do. Meanwhile the children, who are well aware that a possibility of cell phone surveillance exists, may become more secretive and less likely to share with parents of their own will. Moreover, keeping your child on a short virtual leash is not particularly conducive to the separation they need to be making from their parents during the teenage years. How will they learn to live independently and make responsible choices if they are not allowed any freedom, which includes the freedom to have their privacy and the freedom to make mistakes? Will they learn that the key issue is whether your behavior is discovered, rather than the behavior itself? It is a very fine line that the parents, as (hopefully) the wiser ones in the parent-teenager relationship have to be very conscious about. The teen years are the most challenging for both parents and teenagers. We hope that you’ll be able to come up with your unique combination of mechanisms to ensure your child’s safety, including deliberate and well-considered surveillance choices, while preserving a trusting relationship. This entry was posted in Parents, Uncategorized on December 8, 2017 (Last modified: 2018-03-30T12:13:18+00:00 by Mark A..